Healthy clean eating is the most important thing you can do for your health. Why is eating healthy important? Each of the different colors of foods nourish different organs and parts of our body! Are you eating mostly packaged processed foods? Or are you nourishing your body with all the colors of the rainbow? If you Google "healthy eating kids" what will you come up with? Maybe some snacks that have sugar in them. Or ways to hide vegetable puree in foods. The best way to get your kids eating healthy is to start young and teach them how awesome it is to eat a plate full of different fruits and vegetables of every color in the rainbow! Green foods detoxify, neutralize and deodorize. Drink green juice with good fats or oils to absorb the medicinal compounds. Add about one teaspoon of oil per cup of juice. 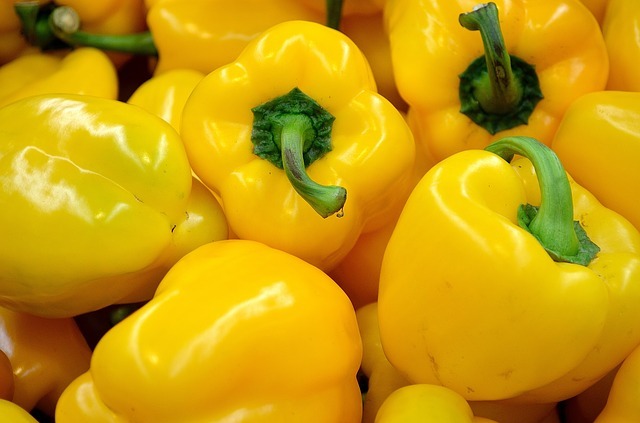 Yellow foods are good for tissue building and repair. The yellow pigment is called quercetin and it is present in all raw food. Vitamin B9, more commonly known as folate, is yellow and it is important during pregnancy. It’s also a powerful anti-allergy agent. Again, adding a healthy fat increases the bioavailability of the nutrients of yellow, orange and red foods. Orange foods are anti- inflammatory. That’s why turmeric is being touted as a great remedy for arthritis pain. Beta-carotene, usually associated with orange vegetables, is found everywhere; in sweet potatoes, squash, celery, and green leafy vegetables. It’s an important antioxidant useful in repairing cell damage. Not surprisingly, red foods contain flavonoids that build the blood and cleanse the heart and arteries. 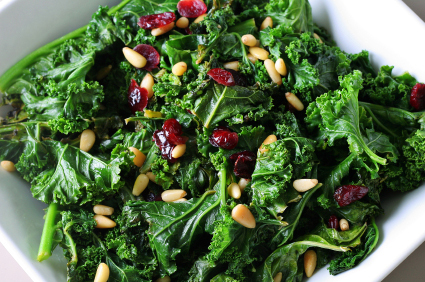 Beets, chard and spinach are some of the most powerful kinds of foods that you can juice. Beets are made up of L Dopa so beet juice is great for Parkinson’s . In order to get the most nutritional benefit from tomatoes, blend and heat them to around 110F or 42C (Don’t go above this temperature!) with oil. You can cool and reheat them and still get the maximum intake of nutrients. 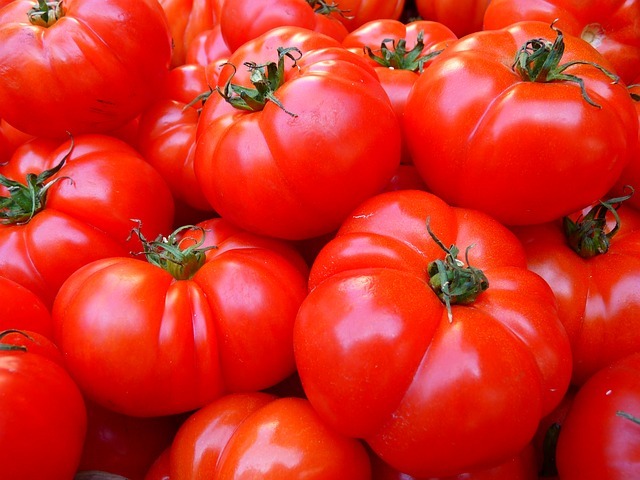 When tomatoes are eaten cool, the nutrients aren’t as bioavailable. Brown foods reduce constipation so they are good for the digestive system. Dried fruits and coffee are examples of brown foods. The most potent foods are red and blue, especially blueberries which are high in antioxidants. Even the leaf of the blueberry plant is anti-diabetic. In fact, berries are the most powerful foods. They are antifungal, antiviral, cardio protective, and they break up plaque formation so they’re beneficial in the prevention of heart attacks. 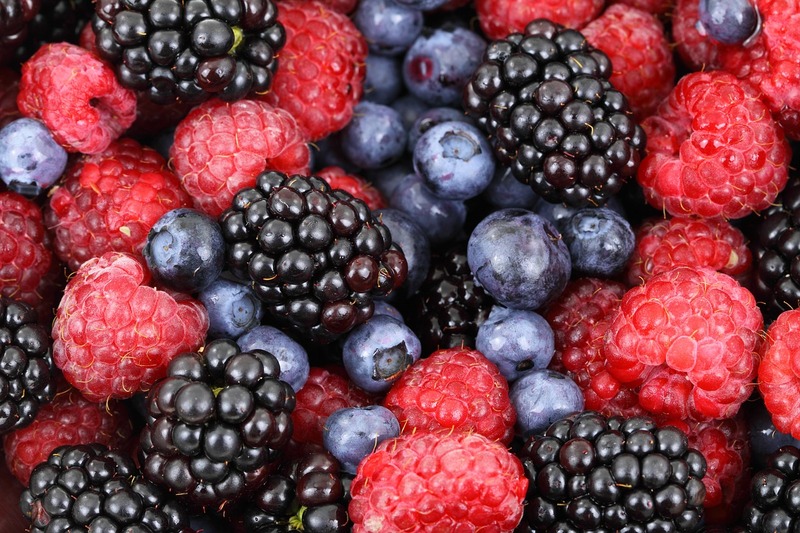 Berries also detoxify and they block the signals between cancer cells. Berries lose some of their benefits when heated. If you can find Schisandra berries, try them. Used as an adaptogen, they improve circulation, strengthen the heart and aid digestion. In traditional Chinese Medicine they are thought to harmonize the body and retain energy. Purple foods such as eggplant and elderberries protect the central nervous system. Black foods, such as blackberries and sea buckthorn berries, are good for the adrenal glands, anxiety and longevity. Black foods such as black quinoa, sesame seeds and poppy seeds have more zinc and are more nutritious than their white counterparts. White foods, for example, garlic and onions, are great for the lungs and the immune system. They are particularly beneficial during the fall, when we move from outdoor humidity to drier indoor environments. White roots, astragalus and white mulberries are very good for the lungs. That’s a quick overview of how healthy, clean eating or ‘eating a rainbow’ of foods can help your body stay in shape and heal ailments. Try incorporating more brightly colored, fresh foods into your diet and see how much better you can feel.